A brand new addition to the Dubai dining scene is the latest Italian restaurant-24 Karat. It is headed by the super talented and creative Chef Glady. As the name suggests, the restaurant has a touch of gold in everything, from the decor to the cutlery and food. Situated in the Mezzanine Floor of Marriott Al Jaddaf Hotel, the restaurant has a separate entrance. 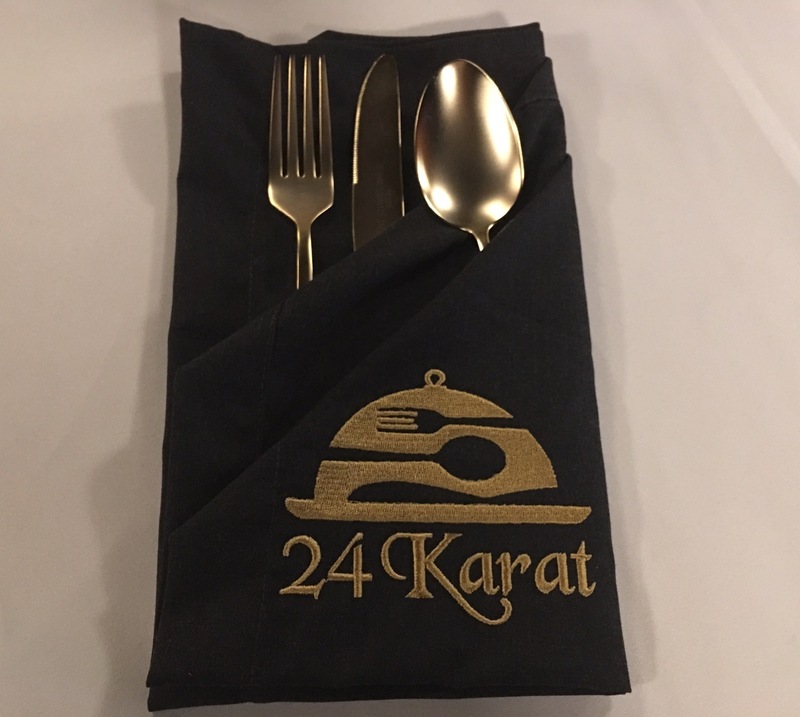 24 Karat is an Italian fine dining restaurant in a beautiful set up. This spacious restaurant has a dining area, bar, private dining area and an Al Fresco dining terrace with views of Burj Khalifa. The decor of the restaurant is modern, elegant and charming. It is a family friendly restaurant with a relaxed atmosphere. Their menu has good options for both vegetarians and non vegetarians. And their menu is on sleek iPads that provides a video preview of all the dishes. 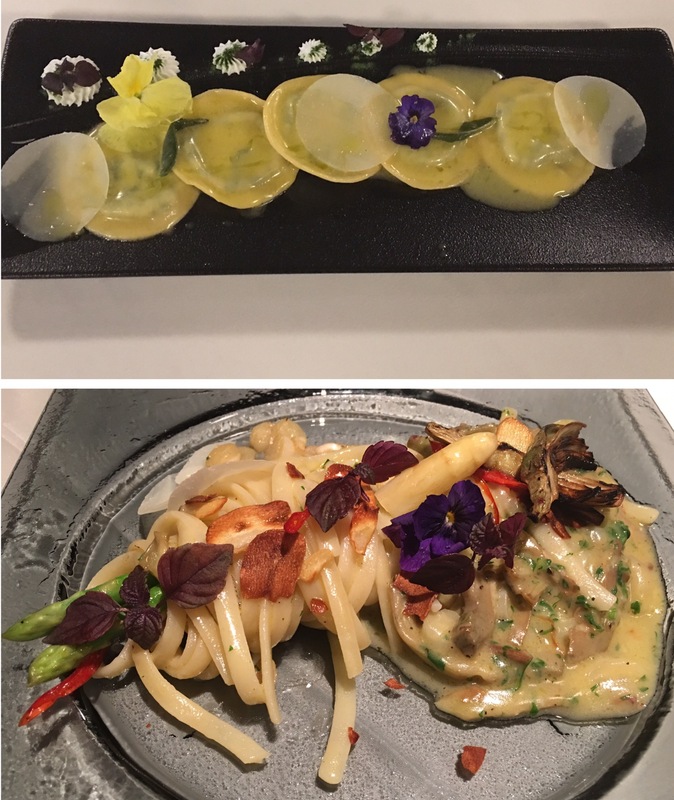 Here’s a vegetarian perspective of my dining experience in 24 Karat Restaurant. We ordered most of the dishes as per the recommendation by the staff as it’s a new restaurant and we weren’t sure what to order. All their dishes were prepared using premium quality ingredients and everything was freshly made in their kitchen. We started off with the drinks first. 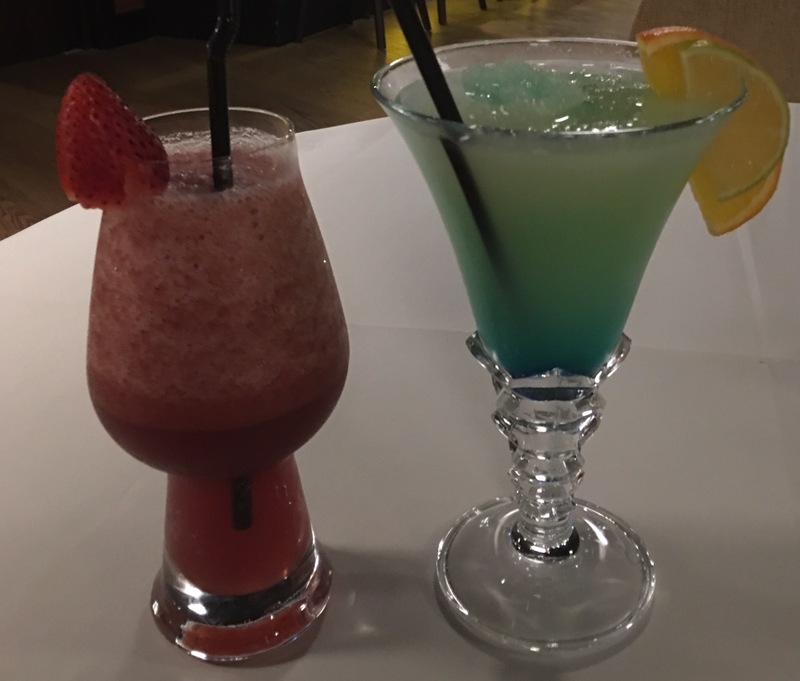 The restaurant is not yet licensed, but offers non alcoholic wines and soft beverages. Patricia Paradise, a luscious strawberry flavored drink with grape juice and lemon. Krupp Capri Cooler, a beautiful blend of lemonade and pineapple with a dash of blue curaçao. Before our starters could arrive, we were served a complimentary Bread Platter with 2 kinds of dips. Burrata 24K– It had fresh Burrata with 3 ways cherry tomatoes, black truffle slice, basil dressing, creamy balsamic and truffle gold flakes. Burrata 24K was soft, creamy and tasty. Wild Mushroom Crostini With Goat Cheese-This crispy and flavorful appetizer had grilled ciabatta bread topped with wild mushrooms, goat cheese and black truffle. Ravioli With Spinach And Ricotta– Their homemade ravioli stuffed with fresh spinach and ricotta cheese that was cooked with butter and sage sauce was outstanding. Linguine With Fresh Artichoke And Asparagus– We relished this linguine pasta that was cooked with creamy potato and Parmesan sauce and served along with crunchy artichoke and asparagus. Felice is one of Chef Glady’s masterpiece, it tasted heavenly. Felice had fresh stracciatella cheese, eucalyptus honey, amoretti, roasted pistachio, fresh fig and vanilla gold flakes. Lieto 24K is a definite must-try for all pistachio cake lovers. It was made with fresh ricotta and 100% pistachio cake with mixed berry coulis and gold flakes. We washed it all down with a refreshing cup of Tisane Jasmine Tea. 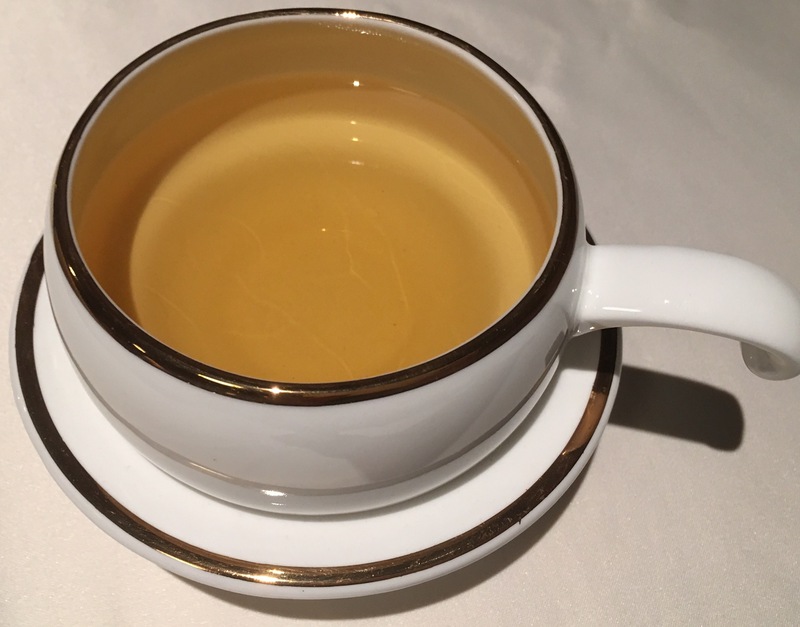 It was a Jasmine black tea blend that had a relaxing effect on us. Overall, we had a wonderful dining experience. 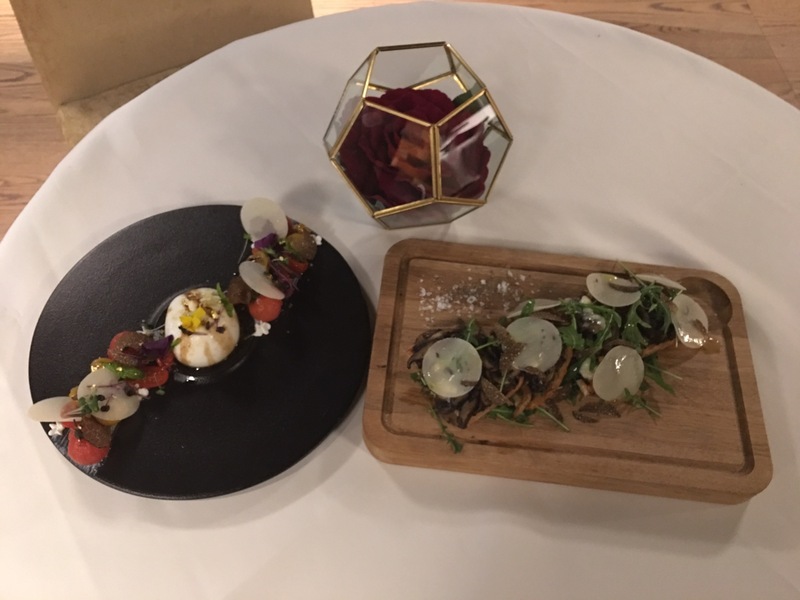 The food was excellent, very beautifully presented and all the dishes had the creative touch of Chef Glady. The service was impeccable. 24 Karat is a definite must-visit restaurant for all Italian food lovers.